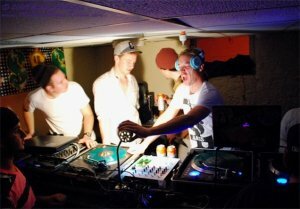 the fun cartel | True Endeavors Presents: music, tours, tickets, mp3 downloads, concert pictures, videos, Madison WI. Enjoy this free “Hollarday” mix courtesy of Matt Forrest, member of Madison’s own Fun Cartel! You can catch The Fun Cartel on New Years Eve at the Orpheum. They’ll be performing for TEN, the all-night dance party featuring Kid Sister. Get tix here.